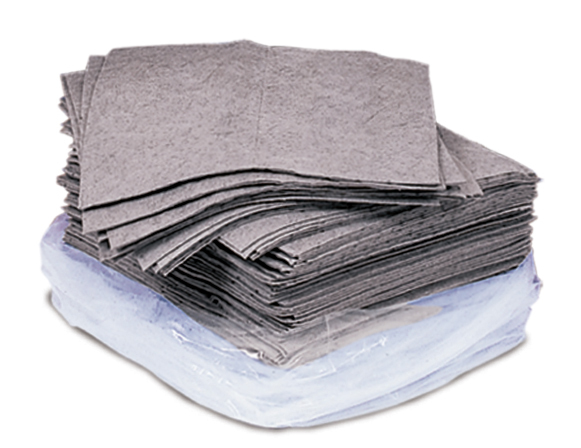 These bonded, high performance all purpose dimpled absorbent pads are ideal for industrial plants, machine shops, maintenance shops as well as environmental oil spills on water or land. Universal Sorbent Pads are typically gray pads and used for soaking up both oil and water based fluids and are ideal for indoor use. Oil Only Sorbent Pads are typically white pads and only soak up oil based fluids while repeling water based fluids and are ideal for outdoor use. Hazmat Sorbent Pads are typically yellow pads and are great for aggressive chemical leaks and spills, such as battery acid, and other toxic chemicals.